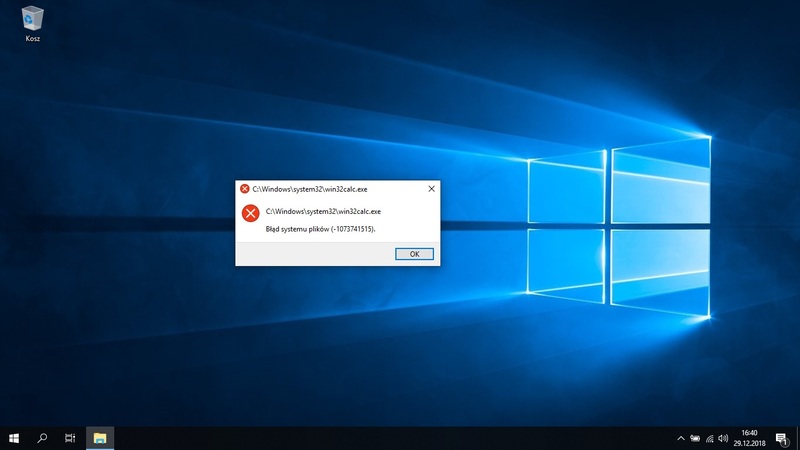 Windows 10 Enterprise LTSC 2019 x64 - File system error (-1073741515). Hello, i am trying to make my own perfect custom .iso of LTSC 2019 since long time already, however recently i am getting this problem all the time when trying to execute anything as Administrator and im not really sure what causes this mess, but i suspect it's caused by removal of some component. Im using NTLite 1.8.0.6650 x64 Home (paid version), the base .iso is SW_DVD5_WIN_ENT_LTSC_2019_64-bit_Polish_MLF_X21-96457.iso, which is LTSC 2019 refresh .iso, 100% original from VLSC, hashes match. Im attaching my auto-saved preset, maybe you guys can help me to debug what is wrong? You can upload images here using the Attach files button below the box or you can drag n drop. Description of it also states the possibility of it. Some people report they can remove it, some only in real machine, really weird component, thinking of locking it some more. Thanks, i confirm AMSI was the cause of this problem, just tried without removing it and everything's perfect now. Finally found out, UAC depends on AMSI, meaning it's not AMSI's fault, it's just that us who keep UAC, must not remove it. Will shift components in next, so it's obvious, thanks. So....bottom line.....I can remove AMSI as long as I remove UAC as well. Good to know. Now I can remove that along the rest. That's quite weird, i always fully disable UAC in the registry (setting EnableLUA to 0), but still had the File System Error with removed AMSI and UAC fully disabled, maybe UAC has to be fully removed (not just disabled), so i might as well remove UAC as a component from the offline install.wim, but the question is: will Cumulative Updates fail to install or bring back such components as UAC or AMSI? I think that SecHealthUI, PeopleExperienceHost and other system "apps" are safe to remove as long as it's done via provisioned registry key in the offline install.wim and the Cumulative Updates will install without any problems in the future, but im not sure about removal of deeper components such as UAC and AMSI. It should not return, all files are the same in the eyes of G..., err cumulative update. That said, if such a thing happens, do let me know which CU to begin with, which preset, and then to which CU to upgrade to see the issue. Btw you must use the latest version of the tool for removals in order for CU compatibility to be the best so far. If the removals were done with an older version, returning of files might happen. It's not the end of the world, you can always Host Refresh using the newer version without reinstalling all your apps.